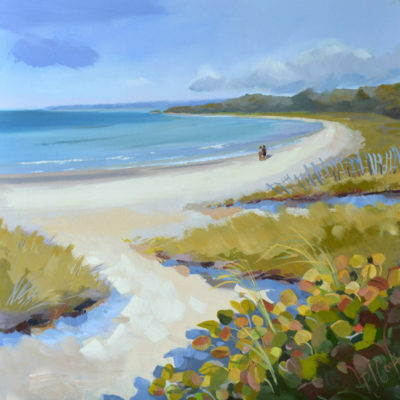 Many layers of color were applied to this original Sand Dune Aglow painting. The dunes are filled with nuances of color. Most people probably don’t notice the variety of colors in the grasses, plants and sand in the dunes. 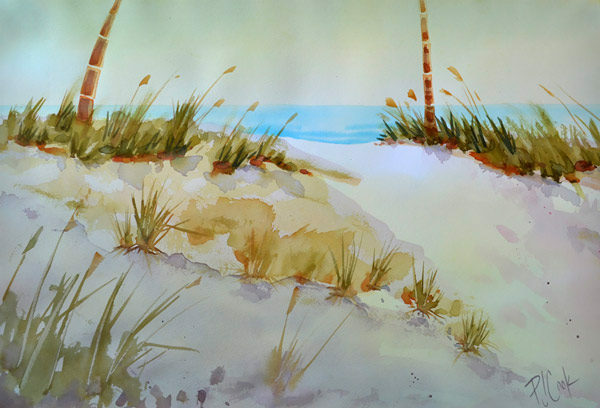 I like draw the dunes whenever I am near the ocean. There are many different colors of green and yellows. From yellow-green to a beautiful blue-green. 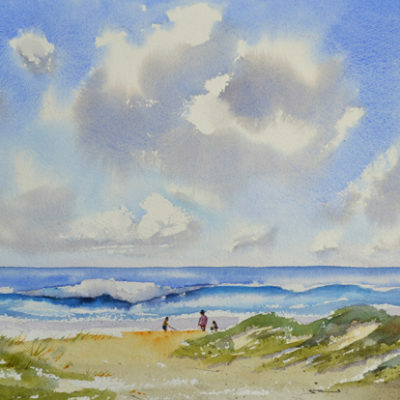 In this original watercolor there is a pretty violet in the foreground sand. It is hard to see in this photograph online. I glazed many colors to achieve the glow. 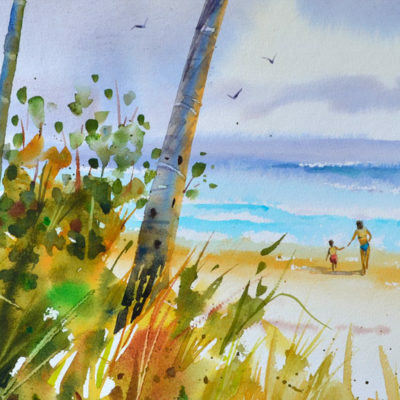 Artist Notes: This seascape art painting is an original work of art by PJ Cook. Original watercolor is 14″ x 20″ size. Professional materials used throughout. Signed by the artist front and back. Can be purchased with a quality mat and picture frame, contact for details. Thank you for your interest in my original art and please contact me with any questions.